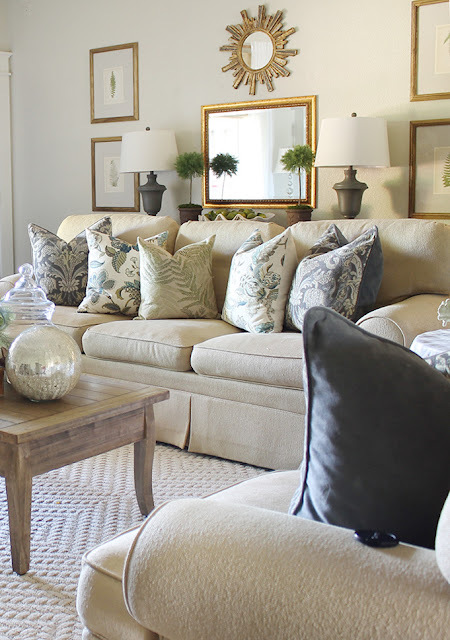 If you’re selling your house this Spring, these 5 interior design tips for staging will help create warm, lived-in rooms. Your goal is to help visitors imagine a new lifestyle; simply by walking from room to room. Set up your home as if you were about to entertain, or as if reading in the other room, preparing lunch or having a siesta. It gives potential buyers ideas on how they could use your home, and what they can look forward to. Since Spring is about new beginnings; use floral prints, bright colors and gorgeous flowers throughout. From the bathroom to the bedroom, from adding natural light to matching different styles, use these tools for your home to look its best without a major overhaul. 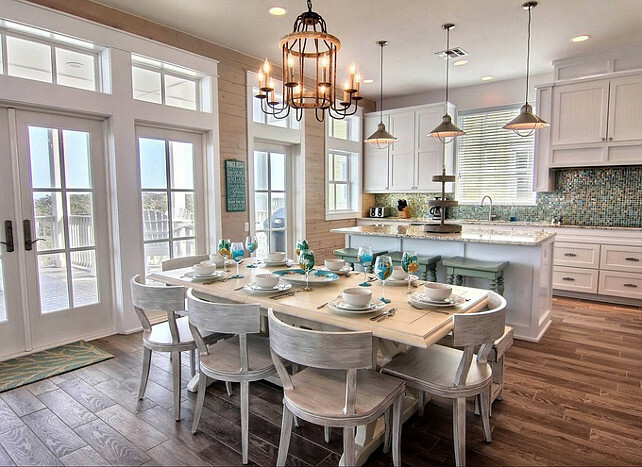 Here are 5 fabulous Spring inspired home staging tips to brighten and freshen the entire house. Buyers will love the hints of Springtime and the fun, cohesive look. Interior design and staging expert Karen Parziale told us that putting glass jars on the kitchen counters is a great way to stage your kitchen. Fill one of these jars with radishes for a pop of magenta, one with apricots, and one with limes or purple asparagus to mix it up. 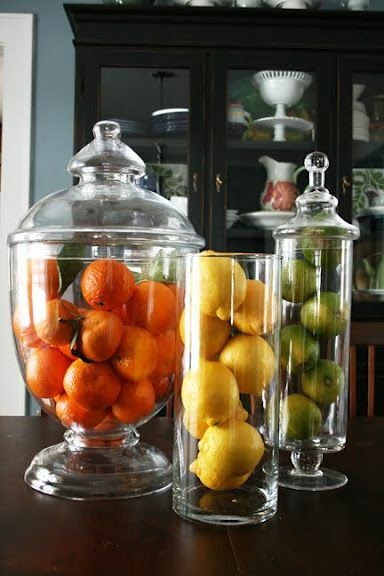 If you have a kitchen table or island, add a white or glass bowl full of lemons for a hint of yellow. If you want more suggestions, a quick google search will tell you “what fruits and veggies are in season this Spring,” and you can choose the produce that best accents your space. If you have an all white kitchen, feel free to go with bold fruits or vegetables. If your kitchen already has color in the cabinets or counter tops, go for more subdued hues as not to clash with any existing color palette. Have you ever put a vase of fresh-cut flowers in your bedroom, living room, or kitchen and felt new life breathed into the space? 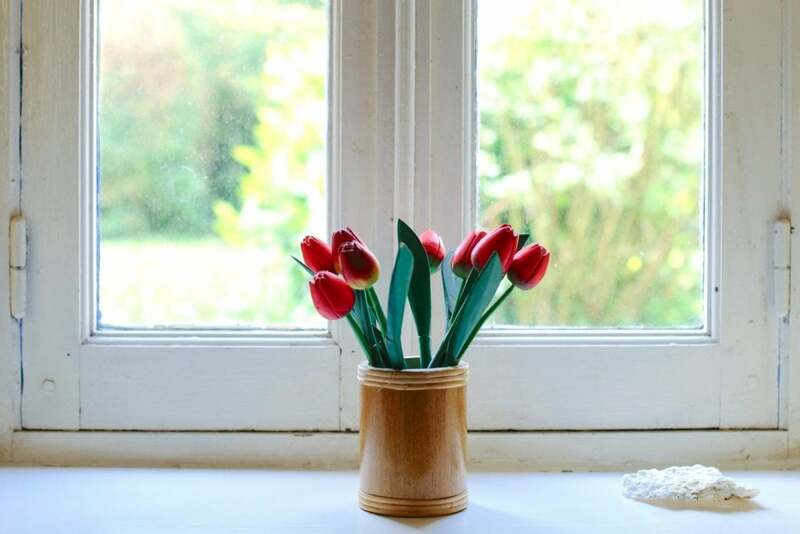 Blooming flowers instantly add a lively and positive natural vibe to a room, so you should definitely place flowers throughout your house when you stage it. Since so many varieties bloom in the Spring, you have easy access to different shades and types of blooms. Arrangements of one flower type have the most impact because they create a focal point of one concentrated color and don’t distract from other patterns that might exist already in your space. 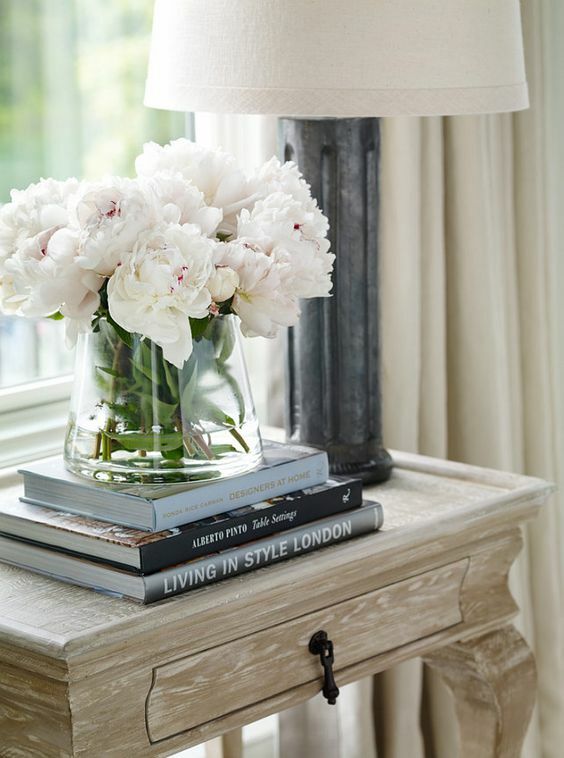 Vases should be neutral; try clear, chrome, or white, or natural wood. Add a bunch of peonies in one room for elegance, lilies for fragrance, or irises for a bright indigo accent. You can also try yellow tulips for some cheer, or a round vase of tea roses. Sunflowers of daffodils in the kitchen are also a fan favorite! But don't forget the fruit! 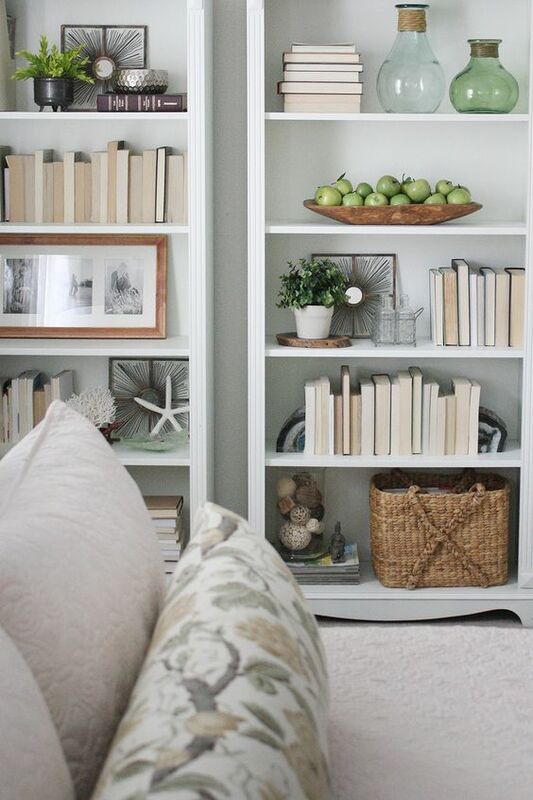 Notice how all the books on the book cases below have their spines facing the wall... its less distracting for the buyer. What stands out instead is pops of green apples, green plants and glass mixed among warm wood tones. Decorate your home as if you just stepped out for a minute. Leaving a drink on a table or counter top will give the potential buyer a snap shot of your life; after all when buyers look to buying a home, lifestyle is what they are investing in. 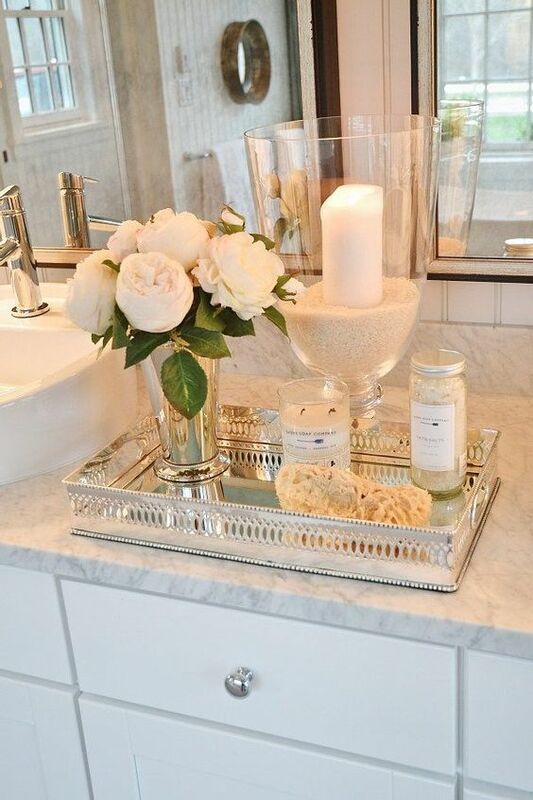 Your house has to smell amazing when potential buyers visit, and soft, natural scents are the best way to achieve that. Lemons are a natural deodorizer and adding them to your kitchen styling is colorful as well as clearing the air of any cooking smells. 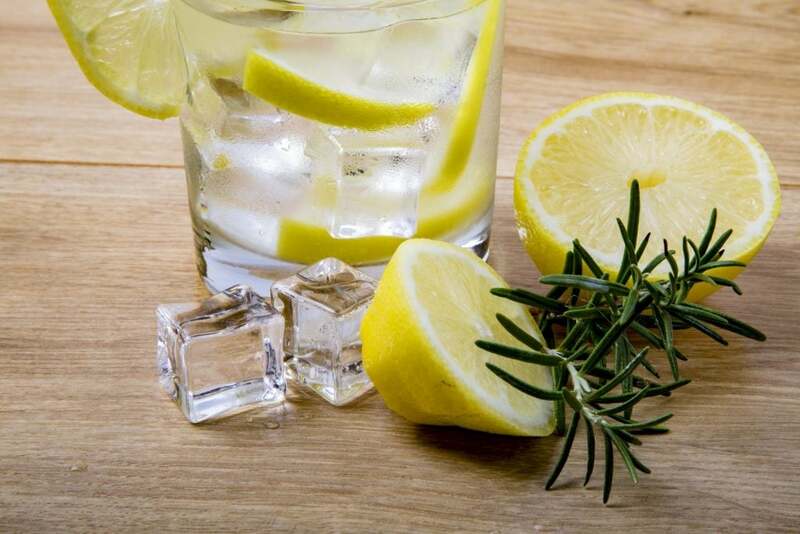 Use lemons, a sprig of rosemary, and a dash of vanilla to make your house smell fresh and delicious. Just put all of the ingredients in water and simmer on the stove until the aroma fills your space! Some people bake cookies, others cook a roast; use smell as tool in the kitchen to attract visitors. 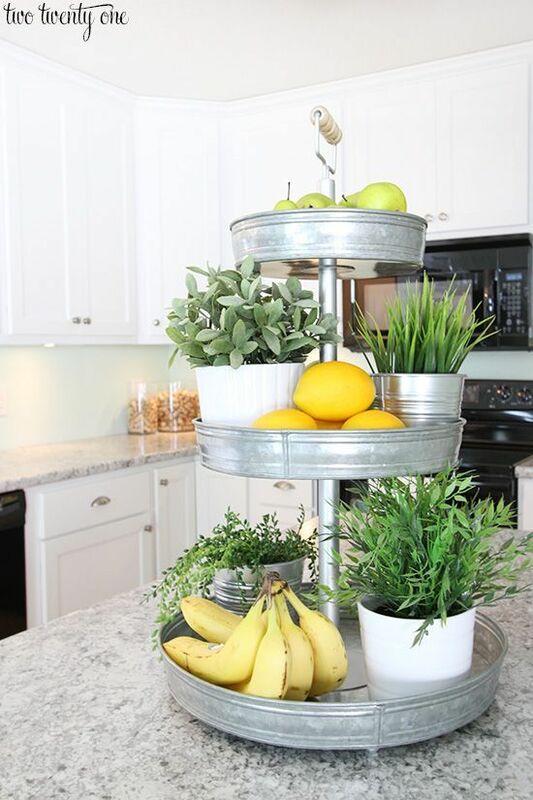 You have pops of color in the kitchen using seasonal fruits and veggies, and fresh-cut flowers sprinkled throughout; bathroom, bedrooms, hallway. Now let’s add some Spring to the living room! Take a look around your living room/ family room space. Do you have a clean design lacking interesting patterns? 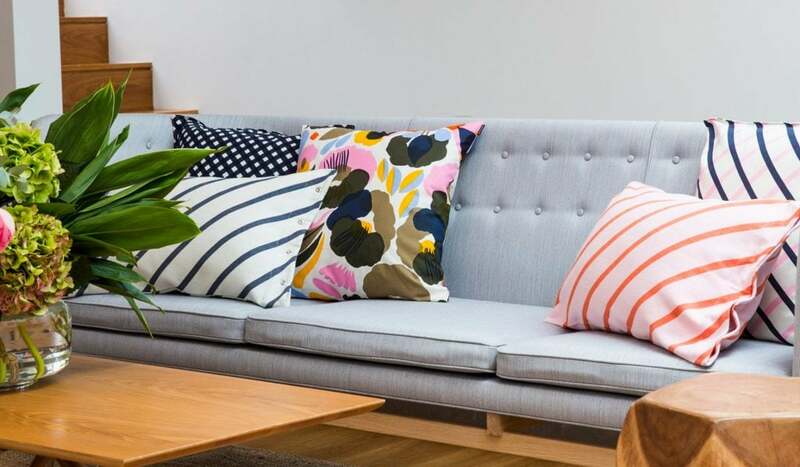 If yes, this is a great opportunity to add simple, bright floral patterned pillows. 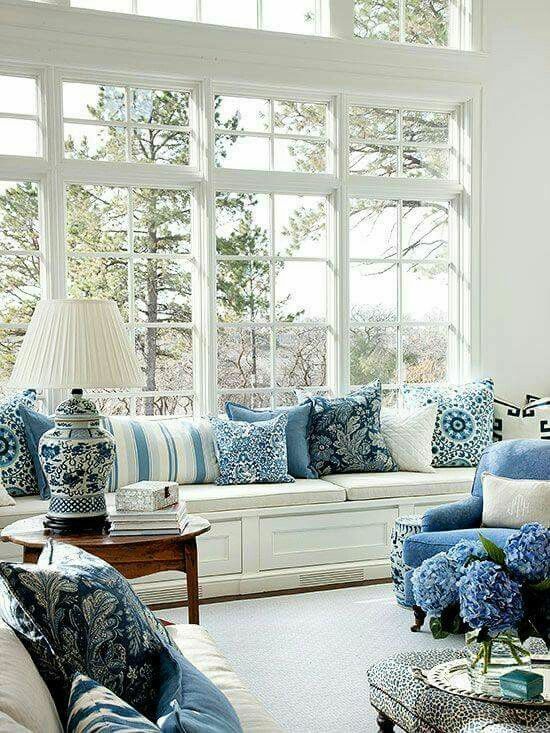 Make sure that the pillows match for a subtle and fun accent that’s not too distracting from the rest of the room. If your rooms have existing patterns, add solid colored cushions. Two pillows in the same color is a most chic look. Another great staging tool; books. Laying out Spring cooking or gardening books on the coffee table gives the buyer a few hints on how they might spend time in their new home. Plus, they look great! 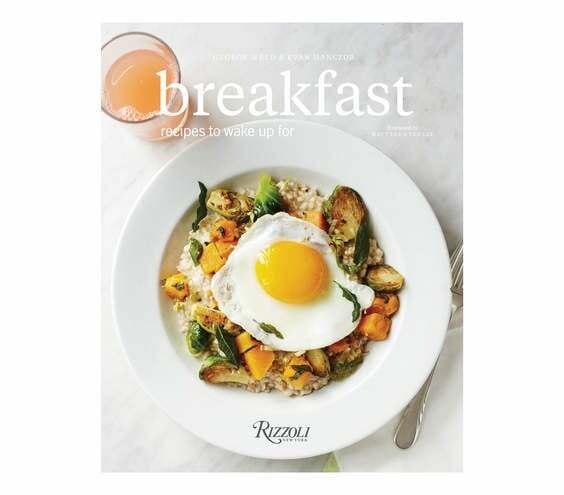 If you have an incredible kitchen, pick out one or two Spring cooking books to remind buyers of the great meals they can make if they buy your house. Books placed on a side table, or nightstand also work well. Add flowers and you have interest, color, and height in the one package. If you have an incredible outdoor space, a Spring gardening book might be more appropriate. Have fun with it, and make sure to pick books with a chic, clean cover design. Before you incorporate all of these fun Spring interior design ideas, you’ll need to declutter and clean your entire house. Be sure to create an easy to follow “declutter your house checklist” to get the job done and move onto all of our fun tips. 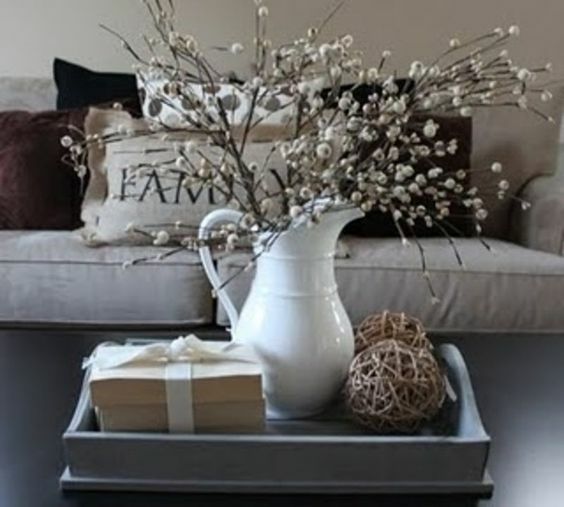 Happy Springtime home staging--and good luck selling your house! Getting these tips before selling home space make home owner to discover huge profit instead of selling the home as it was earlier. These tips also help to decorate home space in a new manner, thus a sweet home space is easily discoverable. I am too making my home space decorative in this summer with these ideas.